Mediterranean and West European pre-modern agriculture (agriculture before 1600) was by necessity ‘organic agriculture’. Crop protection is part and parcel of this agriculture, with weed control in the forefront. 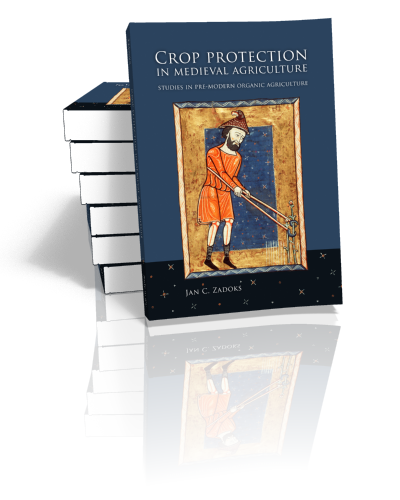 Crop protection is embedded in the medieval agronomy text books but specialised sections do occur. Weeds, insects and diseases are described but identification in modern terms is not easy. The pre-modern ‘Crop Portfolio’ is well filled, certainly in the Mediterranean area. The medieval ‘Pest Portfolio’ differs from the modern one because agriculture then was a Low External Input Agriculture, and because the proportion of cultivated to non-cultivated land was drastically lower than today. The pre-modern ‘Control Portfolio’ is surprisingly rich, both in preventive and interventive measures. Prevention was by risk management, intensive tillage, and careful storage. Intervention was mechanical and chemical. Chemical intervention used natural substances such as sulphur, pitch, and ‘botanicals’. 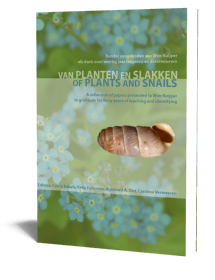 Some fifty plant species are mentioned in a crop protection context. Though application methods look rather modern they are typically low-tech. Among them are seed disinfection, spraying, dusting, fumigation, grease banding, wound care, and hand-picking but also scarification, now outdated. The reality of pest outbreaks and other damages is explored as to frequency, intensity, and extent. Information on the practical use of the recommended treatments is scanty. If applied, their effectiveness remains enigmatic. 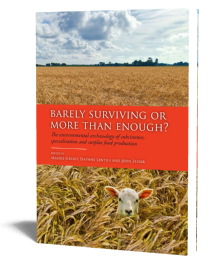 Three medieval agronomists are at the heart of this book, but historical developments in crop protection from early Punic, Greek, and Roman authors to the first modern author are outlined. The readership of these writers was the privileged class of landowners but hints pointing to the exchange of ideas between them and the common peasant were found. Consideration is given to the pre-modern reasoning in matters of crop protection. Comparison of pre-modern crop protection and its counterpart in modern organic agriculture is difficult because of drastic changes in the relation between crop areas and non-crop areas, and because of the great difference in yield levels then and now, with several associated differences. Jan C. Zadoks, born in Amsterdam, 1929, studied biology at the University of Amsterdam, graduating in 1957. 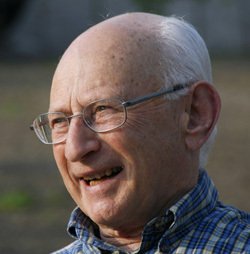 He received his Ph.D. from the University of Amsterdam in 1961, with honours, and joined the Wageningen Agricultural University as a plant pathologist. 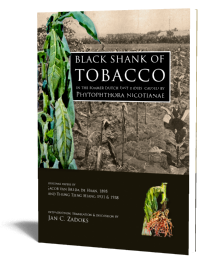 He developed various courses in the area of plant disease epidemiology.